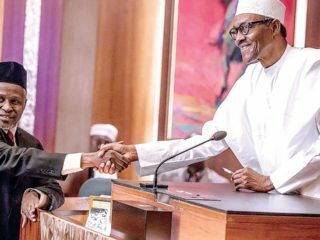 If, by reeling off praises for his supposed achievement in the last three years President Muhammadu Buhari meant to inspire Nigerians on Independence Day, he truly missed the point. This is because all the speech did was to present a state of affairs that was not Nigeria’s. Tried as the president did to temper his speech with some humaneness, the typical routineness, the absence of verve and vitality both in content and delivery, and the unmistakable suffusion with hackneyed expressions were writ large. Upon critical independent study, the president’s 1,513 word speech tended to possess more life and appeal when read alone, than the president’s own rendition. Added to this were the ‘busy’ setting and production quality which did more harm than good to the speech. Had a more humane, more sensitive, and a more impassioned leader, with some theatrics, delivered that speech, the negative interpretation would have been reduced and less virulent. However, a less sentimental review of that speech would present it as a melange of the obviously true, the vague and the false. Just as it is grossly unfair to claim that the address opens up a new ray of hope, so also is it hyperbolic to totally dismiss the presidential speech as a litany of falsehoods. In the aforementioned section of the speech, the president tended to have presented the true state of affairs, for there would have been no sense living in denial of the daunting security situation facing the country. Yet, despite the truth in the president’s narrative, the claims about his administration’s response to this and other issues are curious. For instance, what does the president mean when he said: “The age-long conflict between herders and farmers …. is being addressed decisively”? In terms of fighting corruption, the president claimed “…we have done more with less in infrastructural developments.” What do such phrases mean? What is more and what is less in this context? He also stated about the Niger Delta, which he had denigrated elsewhere: “Efforts are on course in the Niger Delta to clean up polluted lands, restore hopes of the youths in the region and re-establish livelihoods.” The question is, How? The list of vague phrases and unclear assertions go on and on. But the low points of his address were his claims about the economy. Nowhere is vagueness more palpable as in the 246 words he dedicated to comment on anti-corruption and economic issues. 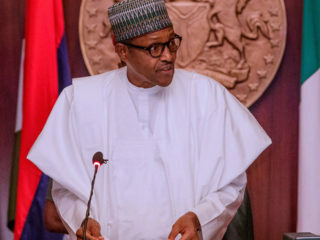 In that section of his speech he claimed that the economy had made progress under him and that there has been some enabling environment for local and foreign investments; that the economy is being strengthened with a stable Naira and a falling inflation rate; that the administration is making progress in the fight against corruption and recovery of stolen public funds. Sadly, all this flies in the face of felt realities. Is it disputable that Nigeria has not only become more economically disadvantaged under this administration, it has also been ranked as one of the world’s poorest? 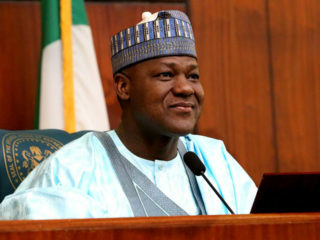 Even the administration’s financial advisers attested to this state of precariousness by warning the country about revenue challenges and imminent recession owing to non-implementation of the 2018 budget. It has also been alleged that in this administration, the Naira dropped from the N165/US$1 he met in 2015 to N360 to US$1 currently. 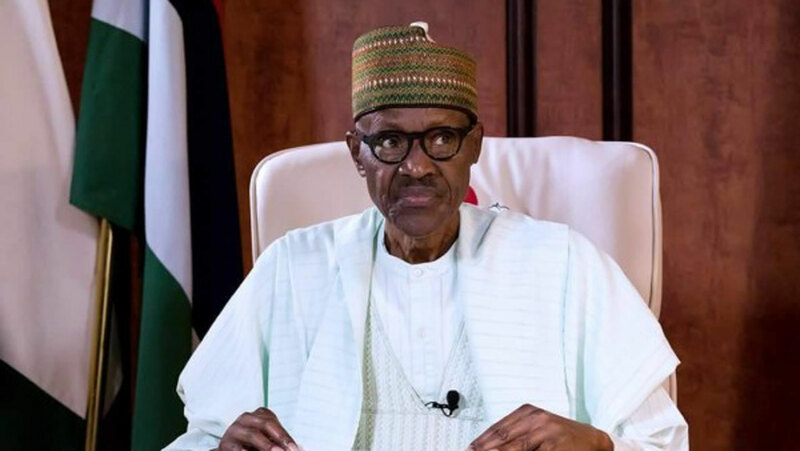 This is apart from the latest corruption perception index released by Transparency International (TI), which saw Nigeria moving 12 places down, despite the much-publicised anti-corruption crusade of this administration. It is this bare-faced affirmation of economic progress amidst widespread and increasing poverty, and the needless advertisement of empty promises that draw the people’s ire against the presidential address. This paper believes strongly that the hyperbole in the narratives about the nation’s economic situation was a deliberate action to score cheap popularity. Yet, this need not be so. No one inspires hope on the basis of glaring falsehood. To cook up non-existent state of affairs is not only morally despicable but also an insult to the people of this country. Truth told with humaneness and sincerity is a more potent and efficacious means of social mobilisation than falsehood bandied with dubious evidence. In times of bitterness, despair, rancour and poverty, the independence speech, like any state of the union address, is supposed to inspire hope and appeal to the sense of nationalism and commitment of all Nigerians. It should not be a chest-beating self-eulogy that has no bearing with concrete experiences. For many who are less charitable to the president, the Independence speech was a reiteration of presidential insensitivity. While the 27-paragraph speech picked on different aspects of our national life, it failed to show how the government has addressed, if at all, security, power, and infrastructural decay. The briskness of some of the sentences and paragraphs seemed to have been crafted in a hurry and for unjustified brevity. In some sections of the speech, unrelated issues are lumped together, in a manner depicting the absence of logical connection. This is not how a presidential speech on a remarkable occasion should be. All this points to the quality of personnel handling public communication in the presidency. Speech writers at the Presidency as well as the production crew should do well to present the President of the Federal Republic of Nigeria in a dignified and respectable manner befitting of this great country. In the main, the executive head of the presidential bureaucracy has a responsibility to invest robustly in the communication’s quality control mechanism in the presidency. It is not only their presidency: it is also our presidency, after all.